P.S. 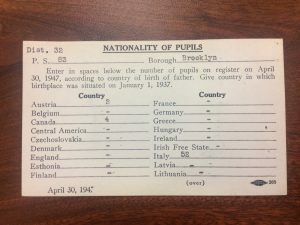 83: Integrated in 1893, but did integration last? I knew that people like T. McCants Stewart and Rufus L. Perry Sr. integrated P.S. 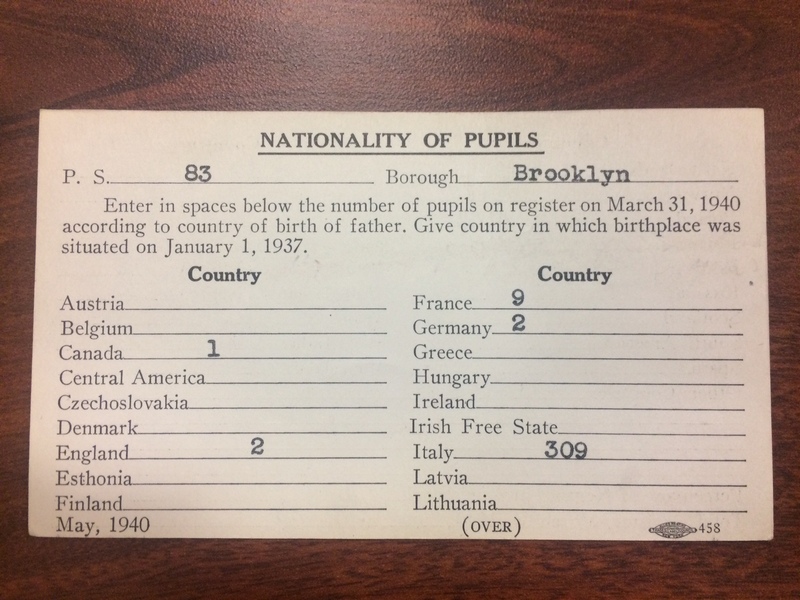 83 (Crown Heights, Brooklyn) in 1893. But as Nikole Hannah-Jones has demonstrated, Brooklyn’s schools are separate and unequal today. 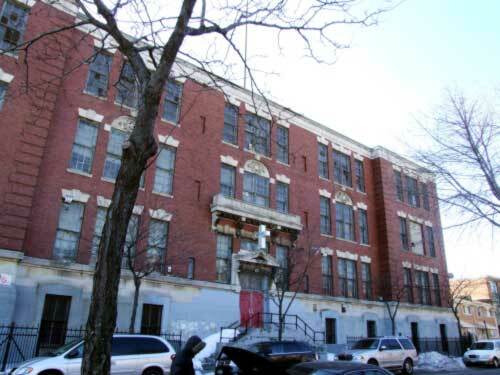 Public School 83, corner of Dean and Schenectady in Crown Heights/Bedford-Stuyvesant, Brooklyn, NY (built to replace P.S. 68, formerly Colored School No. 2, the Weeksville school). Building decommissioned in the 1960s or 70s. 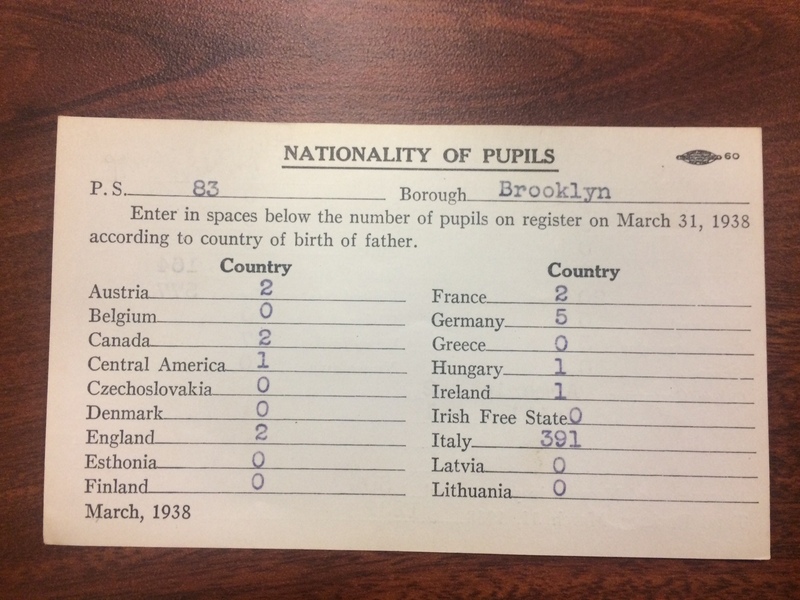 Q: Were Brooklyn schools more integrated in the past than they are now? How long did P.S. 83 remain integrated? 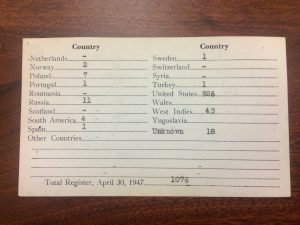 This summer, I visited the NYC Municipal Archives, where I spoke to historian and archivist David Ment. He pointed me to this collection (see gallery of images below), where I found my answer. A: Yes P.S. 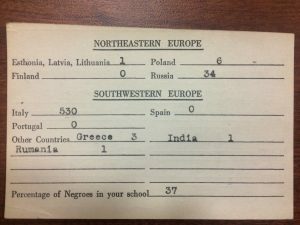 83 was racially integrated for about fifty years: from 1893 until at least 1943. 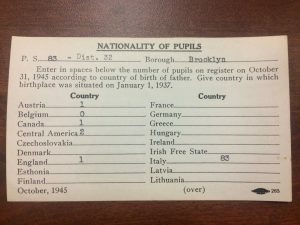 But what did “racial integration” mean? 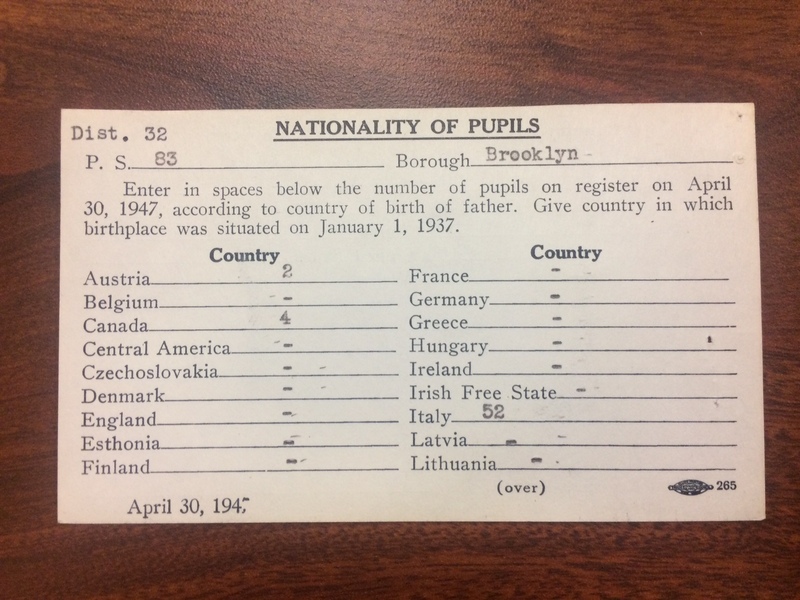 Few “Anglo-Saxons” attended the school — in other words, few (if any) native-born white children of native-born parents. 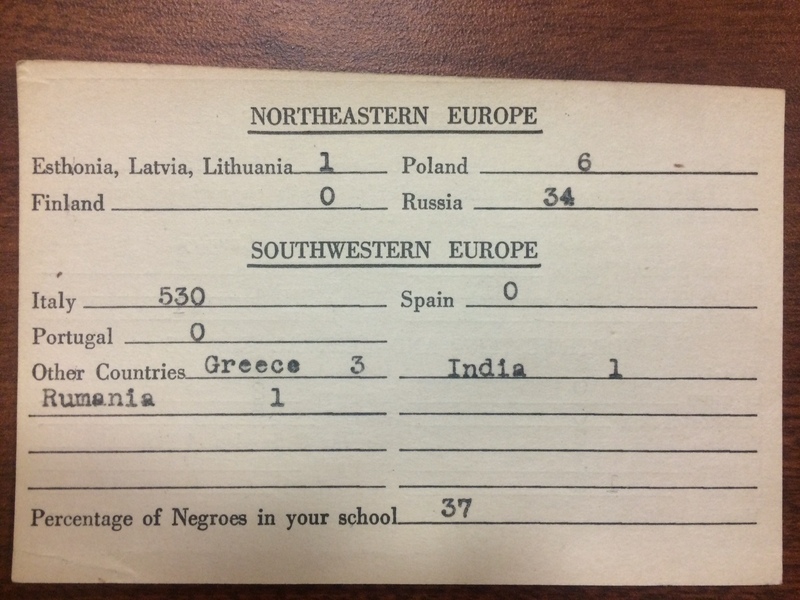 In 1931, Italians attended in the largest numbers (80%) followed by black student (15%). As the Italian population decreased, the Anglo-Saxon population did not increase. 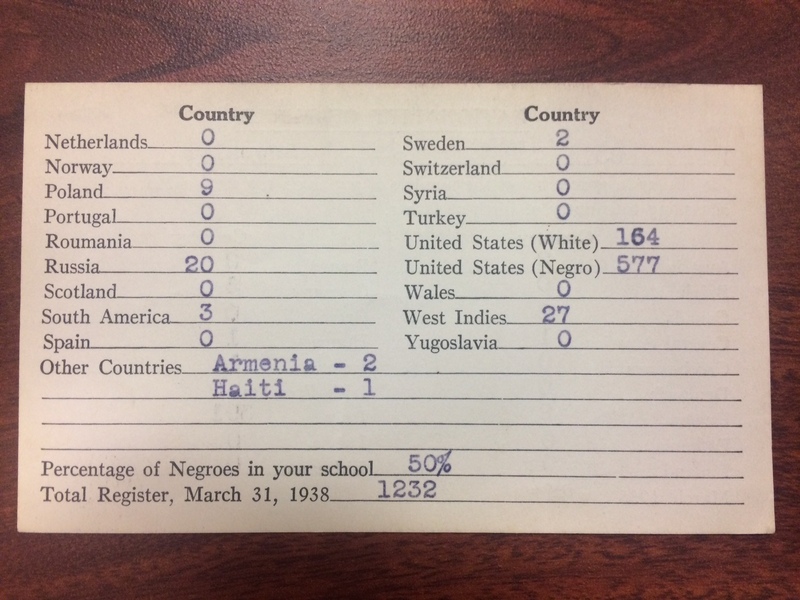 Instead, the black population increased. Today’s term “integration” invites more questions about racial categories in times of nation-building and immigration anxiety. Italians moved to Weeksville from Manhattan’s Lower East Side after the Brooklyn Bridge opened in 1883. According to property records, Weeksville transitioned from majority-black to majority-Italian around 1900. And if the student population is representative of the overall population, Italians stayed in Weeksville for at least a generation, from 1900 – 1930 or so. 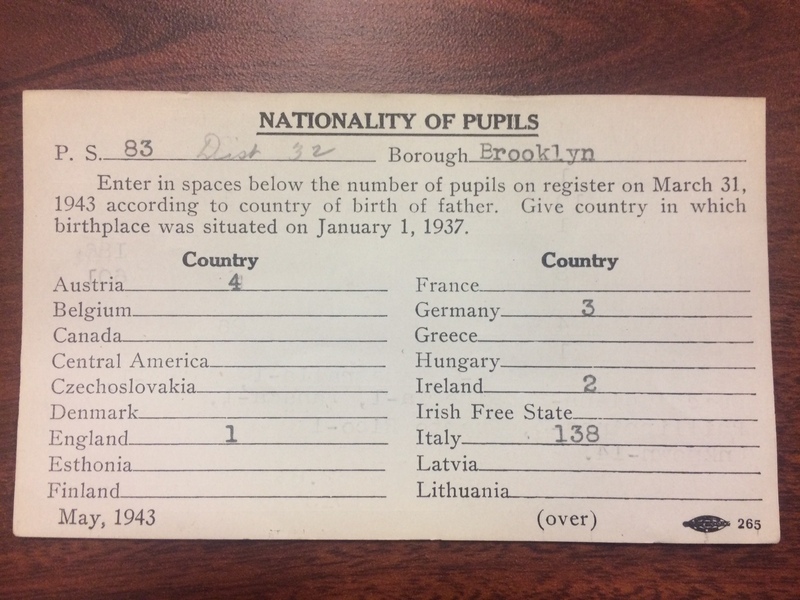 Over the next ~15 years, between 1931 and 1947, Italians left and the black population of Weeksville grew. Black migrants arrived from the U.S. south and a few from the Caribbean islands. 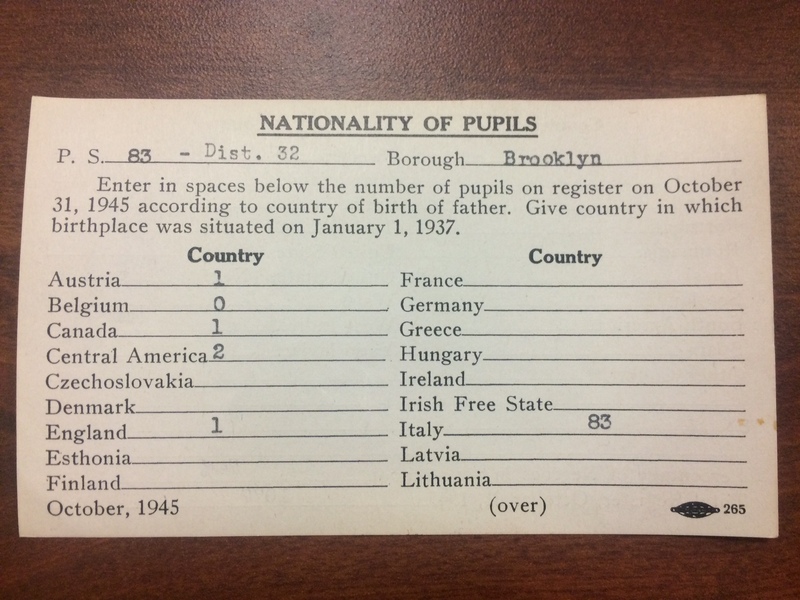 After 1947, Italians left in larger numbers, aided by federal incentives. FHA policies trapped black families in the cities while offering opportunities to Italians — to buy new homes in the suburbs. By the 1960s, the neighborhood was mostly black. So, too, was the school. In summary, the Weeksville school remained integrated through two name changes — over the course of more than 100 years. Black residents founded a school in Weeksville in the 1830s or 40s. 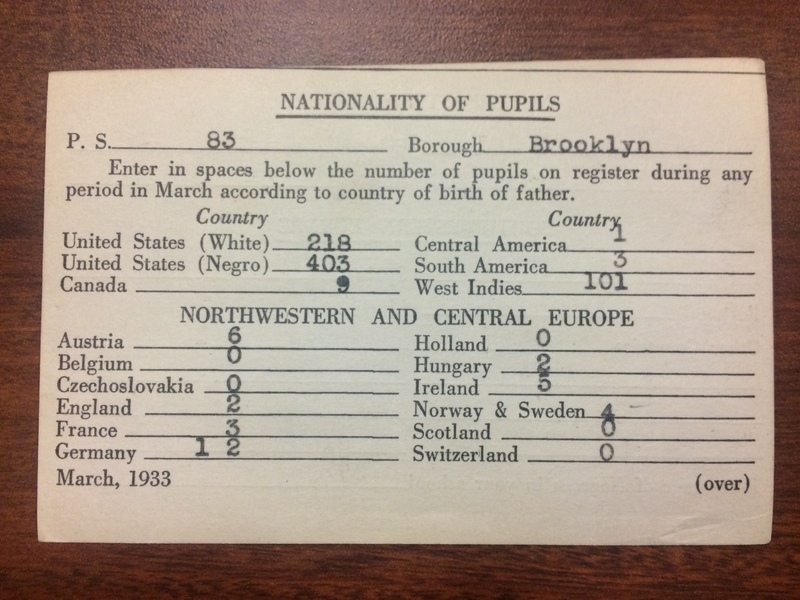 It was one of three “colored” schools in Brooklyn, but according to T. McCants Stewart, the school was always integrated — white and black students attended. The school also employed both white and black teachers. The Weeksville School’s name changed twice. First, after the Civil War and the resulting Civil Rights Act of 1866, which declared separate schools illegal. 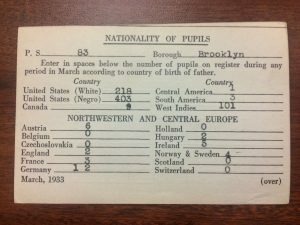 (After the passage of the 1866 Act, all three of Brooklyn’s “colored” schools were renamed: absorbed into the general numbering system. 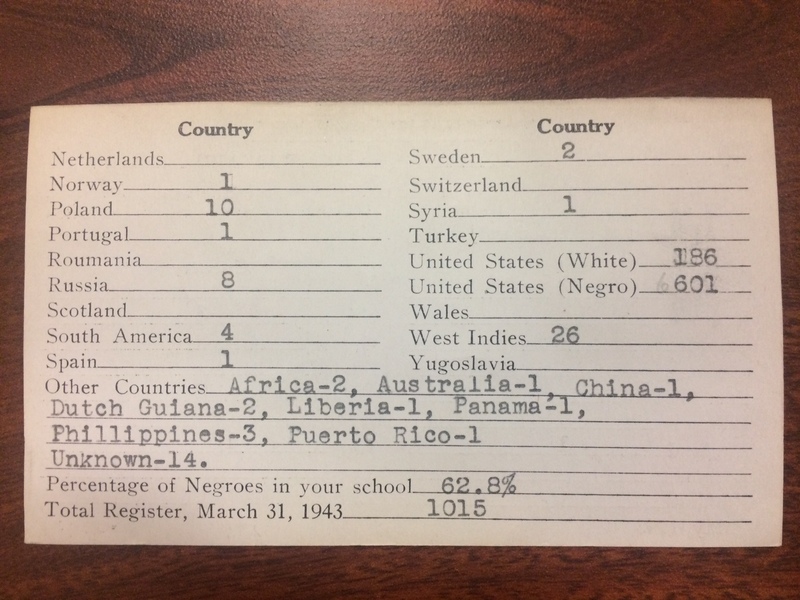 Thus, Colored School No. 2 became P.S. 68.) Then, in in the 1890s, residents advocated for a new school building to replace the old one. But when the building went up, it had the name P.S. 83 (why P.S. 83? see more info here). The Weeksville School illustrates the profound impact of FHA policies. 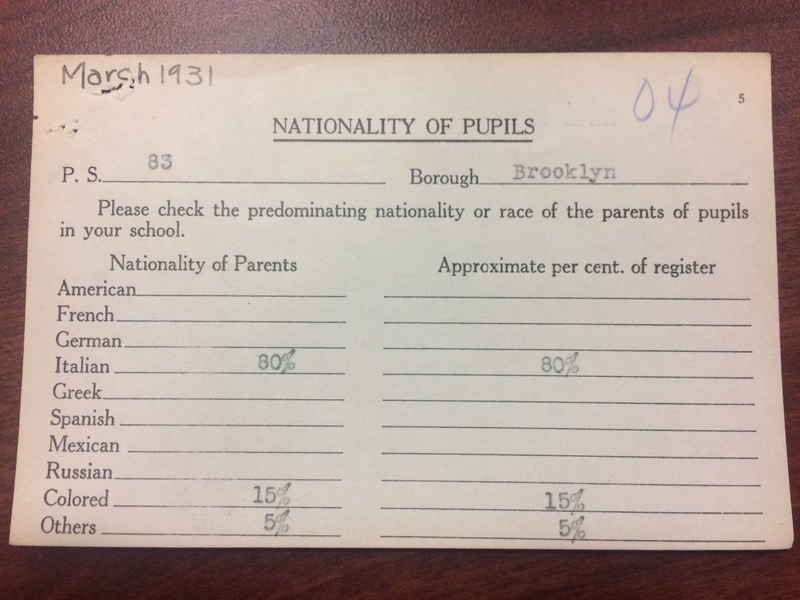 Integrated since its founding in the 1830s or 1840s, the Weeksville school only grew segregated after more than 100 years of racial integration — because federal housing policies incentivized white flight from the city. Americans love a progress narrative. We’re always moving forward, we like to assume —toward some vaguely defined better future. But if we identify racial integration as the goal, the Weeksville school illustrates the opposite of progress: backward movement. 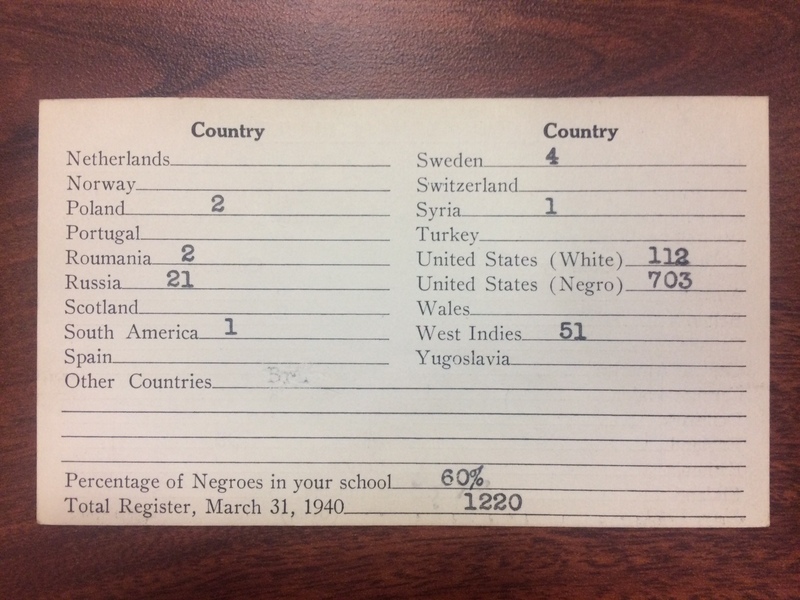 * The Board of Education never asked for the percentage of white students, only the percentage of black students. This suggests that, for the BoE, whiteness was not the salient category. 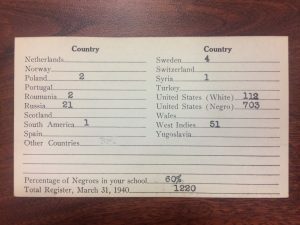 It was more important to identify white students’ nationality than to lump them into the homogenous category “white.” The BoE continued to catalog the percentage of black students until 1947, when race disappeared from the BoE form all together. I suspect this had something to do with the U.S. having just fought and won WWII, a war against racism in Europe. 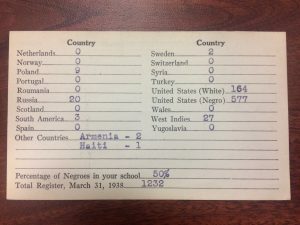 Perhaps BoE officials wanted to imagine themselves post-racial for a minute?